In our current musical climate of endless rap and predictable pop, it's great to hear a song that doesn't fit the typical blueprint. 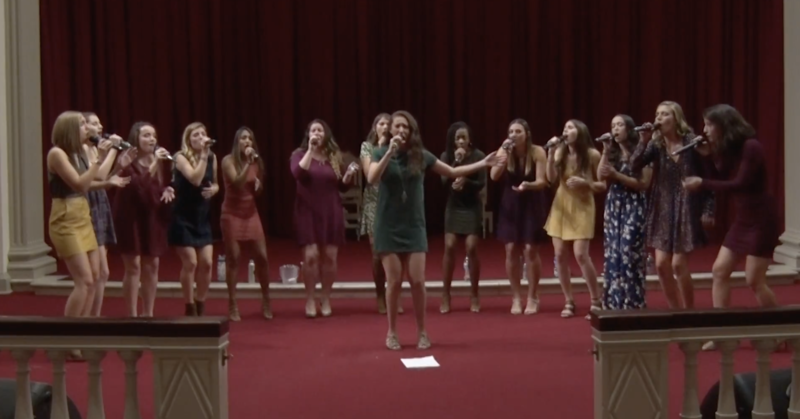 Yes, from a generic standpoint, Rihanna's "Russian roulette" falls into the pop genre, but it is so much more than that in this performance by the University of Maryland Treblemakers. First of all, the feel of the entire song has a certain movie Drama/Thriller vibe to it that transfixes you with each entrance into the chorus. Each exhale by the Troublemakers is laden with such emotion and anguish that it's practically impossible not to feel connected to this performance. The lead does a fantastic job of selling the song without it being too much. It's an authentic display of affection, oozing with heartache and torment delivered through each note. This is a #WCW performance full of inner reflection and dark melodies that is sure to grip you in the best way.